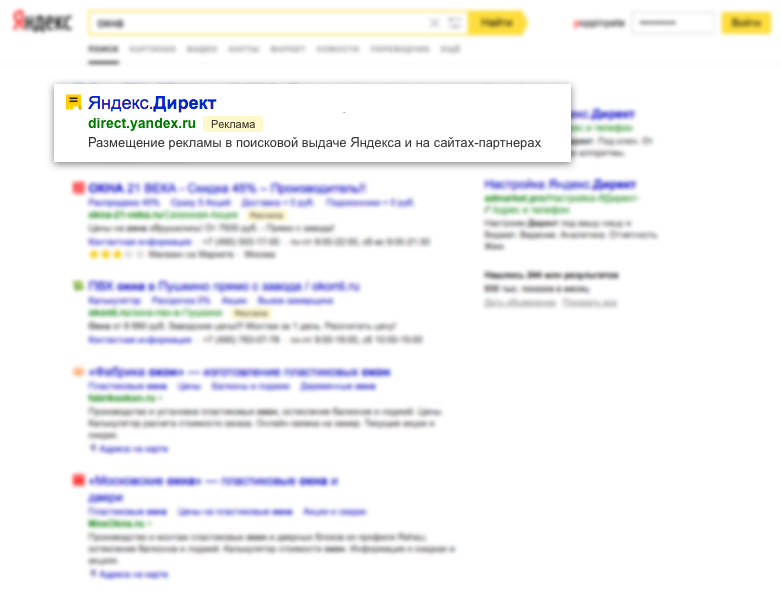 Premium means an advertising block with high CTR located above the search results (under the search string or thematic insets of Yandex services («wizard»: https://yandex.com/support/search/searchster/about-searchster.xml)) or main contents of a Yandex.Catalog page. Media Context Banner means an Ad, except for an Image Ad, Smart Banner, Mobile Ad and Dynamic Text Ad (as stipulated by cl. 3.15.4 hereof), with the “Media Context Banner on search” type chosen by the Advertiser when creating such banner. Once such Ad is created, it is impossible to change its type and format. Ads of the said format are not placed on Advertising Spaces located on Yandex services adapted for mobile devices. 3.3.5. The Advertising Space mentioned in cl. 2.1 hereof mostly displays Media Context Banners whose multiplication of CTR and Cost per Click is the best. At the same time, it is possible to automatically rotate Media Context Banners on the said Advertising Space with no regard to the multiplication of CTR and Cost per Click. Higher rated ads (forecast CTR, Cost per Click, and Quality factor) are located at higher positions and / or shown with their design expanded (i.e. with additional information, images, and other ad elements provided by the Advertiser). This clause does not apply to the Media Context Banner. 3.13. Ads displayed on the Advertising spaces through mobile devices may contain a Link to a website and/or a Link to a contact page. When clicking on the Link, the User goes to the chat mode where he/she may in his/her sole discretion make a call at a contact phone number specified by the Advertiser for the particular Ad in a virtual business card. The terms and conditions of this clause shall not apply to the Smart Banners, Image Ads and Media Context Banners. 3.15.10. When creating an Advertising Campaign, the Advertiser may be provided with an option “Media Context Banner” to create Ads to be displayed on the Advertising Spaces specified in cl. 2.1 and 2.6 hereof. 3.16.1. if the Group involves both Mobile Ads and those that are not Mobile Ads, Ads of the first type are displayed mostly on PCs and tablets; Ads of the second type are displayed on mobile devices. If the Group involves only one type of Ads, these Ads can be displayed on any device regardless of its type. This clause does not apply to Media Context Banners. 3.19. If the Advertiser does not accept the additional functions specified in this section, the Advertiser shall contact the help desk via the feedback form at: http://feedback2.yandex.com/direct/.